Do you feel that slight dread when you head over to your zucchini plant(s)? Surely there can’t be more zucchinis to be picked?! It’s ok, we’ve all been there. Zucchinis are so easy to grow, many gardeners get more than they expect. Yes, you can add them to cakes and other goodies but that only uses up a small zucchini (two if you’re lucky). Here are our top 5 simple zucchini recipes for using serious amounts of zucchinis…. This is a firm favorite in our household; simple and tasty. It freezes well so go crazy and make as much as you like. You’ll be thankful on cold winter days. Link to recipe. A splash of cream or coconut milk is a great addition too. Zucchinis are incredibly versatile when sliced or chopped in your food blender. 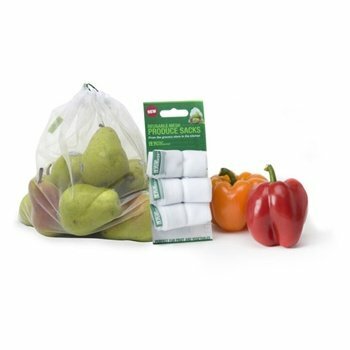 They can be added to stews, spaghetti bolognese, soups, and more. Remember that zucchinis have a fairly high water content so make sure to reduce the amount of stock or water that you add to your recipes to compensate. Thickly sliced zucchini (1-2cm) can be drizzled with oil and simply cooked on the barbecue. They just take a couple of minutes on either side to cook. Sprinkle with paprika or chilli powder to add a bit of variation. Quick and healthy… yum! Dried crunchy zucchini chips take a bit of time and patience but they are worth the wait. They are easiest in a dehumidifier, but if you don’t have one (like me!) you can still make them. Very thinly slice your zucchini. Press with a kitchen towel to squeeze our excess water. Drizzle with oil and place on a baking tray, wire rack or parchment. Sprinkle with a pinch or two of salt . Put your oven on its lowest setting. Place the zucchinis in the oven for a couple of hours. Turn and leave for another hour or so. Then turn the oven off and leave the zucchinis to finish drying for a few more hours (I tend to leave them overnight). Opening the door regularly (every 20 mins or so) will release moisture and tends to speed up the drying process. The zucchini chips will shrink as they dry so you can place them pretty close together but be careful not to overlap them. Don’t add too much salt (or other flavorings) as the zucchinis will shrink and the flavor will intensify. Zucchini pasta is a great way to add more vegetables to your diet and use up lots of zucchini. Thinly julienne (cut into sticks) your zucchini. Bring a pan of water to the boil and blanch your zucchinis sticks for a couple of minutes. Use in place of some or all of your pasta in your favorite pasta dishes. Similarly, you can use large thin slices of zucchini in place of lasagna. How eco friendly is your garburator? 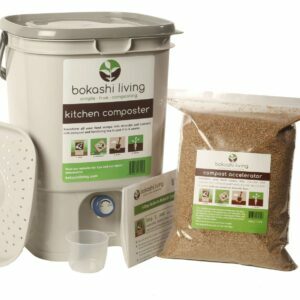 ← Bokashi composting: Review from a self-confessed garden fanatic!